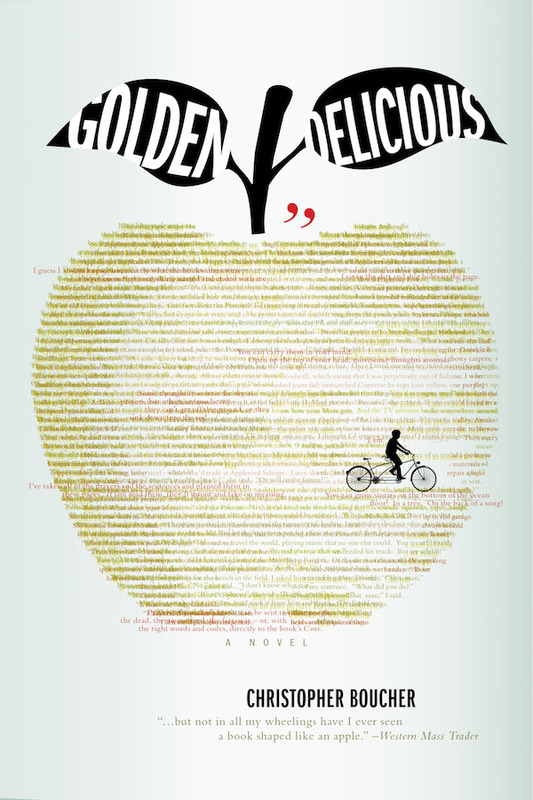 I’m delighted to announce that my second novel, Golden Delicious, will be published by Melville House on April 26, 2016. 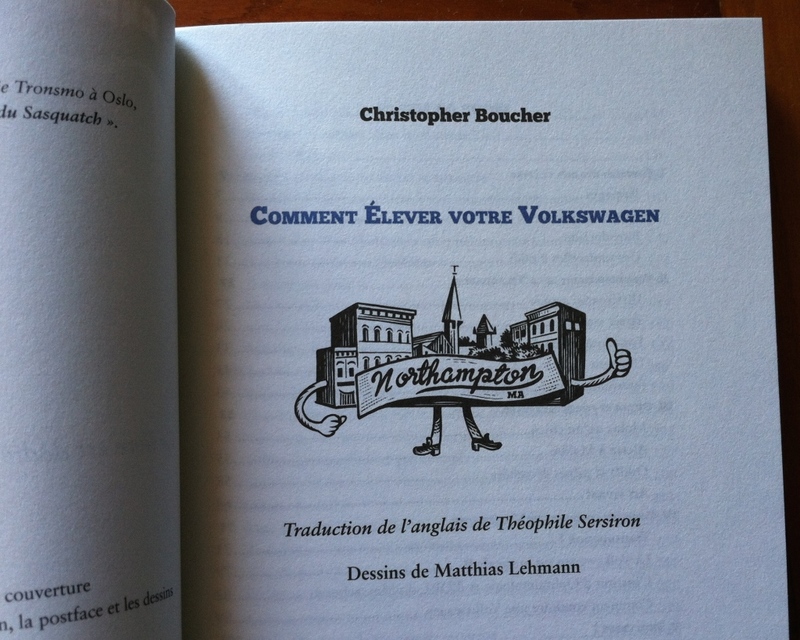 As the publication date for that book approaches, I’ll be shifting my energies to christopherboucher.net – please check that site for blog entries, book news, and event listings. The last day of Festival America was fantastic but bittersweet. 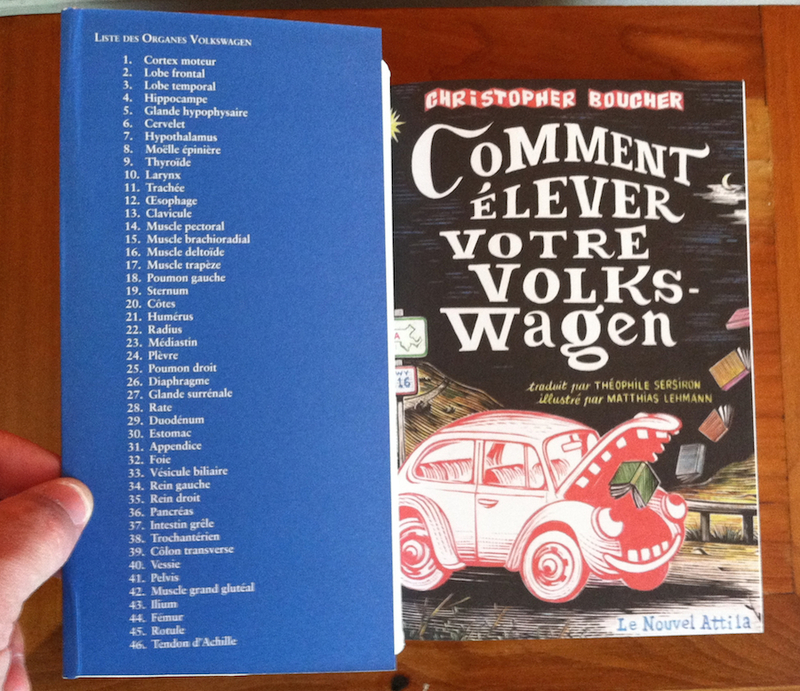 I had the chance to take part in debates alongside such accomplished writers as Amy Grace Loyd, Stuart Nadler and Paul Harding, to meet many new readers, and to sign books – both in French at the Le Nouvel Attila table and in English at the Shakespeare and Company booth. 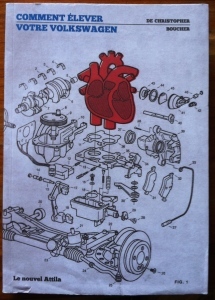 Later in the day, I also met Matthias Lehmann, whose beautiful illustrations are featured in Comment Élever Votre Volkswagen. As the day wound down, I was sorry to say goodbye to some of the new acquaintances and friends I’d made. We ended the day in wonderful style, though, with a late cocktail hour at the home of Annie-France Mistral (whose translation of Joshua Cohen’s Le Paradis des autres is forthcoming from Le Nouvel Attila). We sat by a fire and talked about – what else? 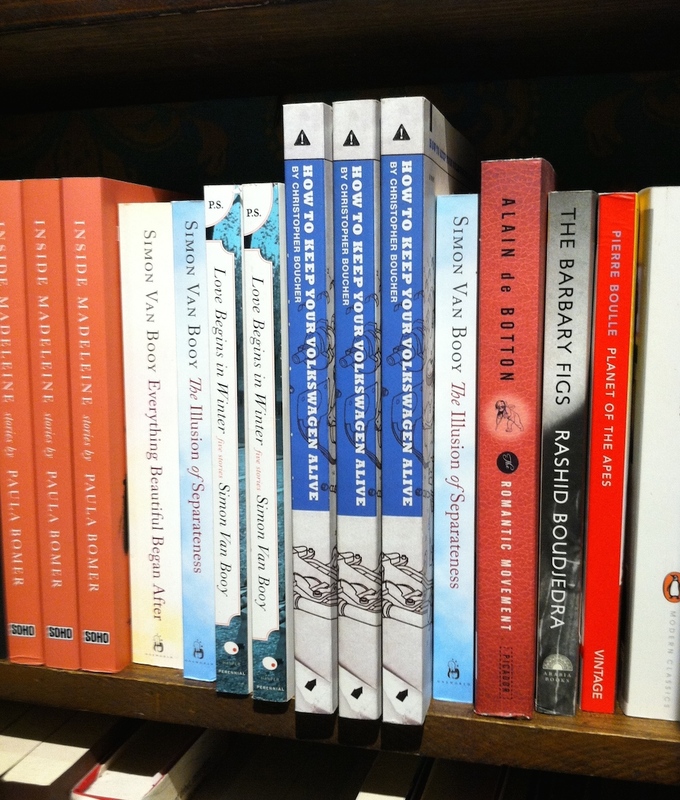 – books: different editions and translations of Georges Perec’s A Void, for example, and some of our other favorite authors and editions. I was grateful to Annie for her hospitality, and especially glad to be able to thank Benoît in person for his generosity and kindness. As I told him when we said goodbye, I hope that this is the first of many trips to Paris for me. 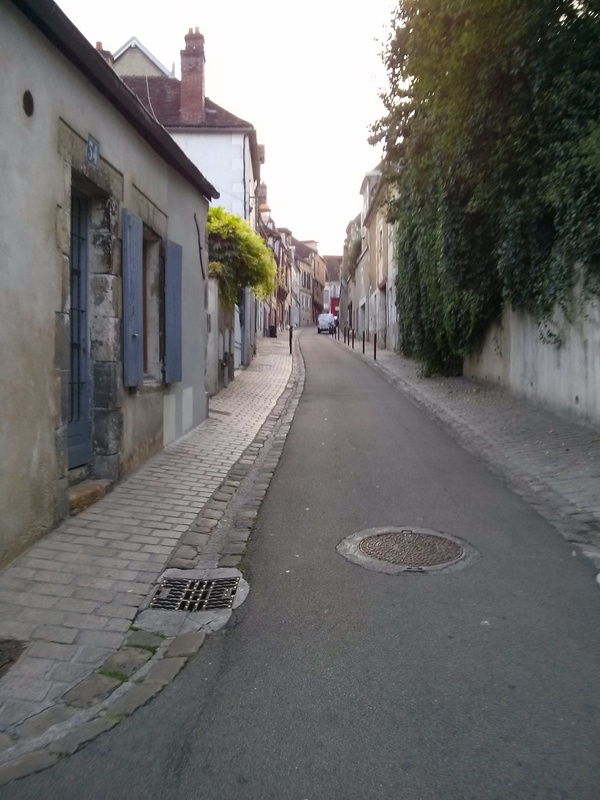 I was grateful for the initial invitation to Festival America, but nothing could have prepared me for the experience itself: the medieval architecture of Auxerre; the french countryside as seen from the window of the train; the open-air market and white streets of Vincennes, the cafes on every corner. 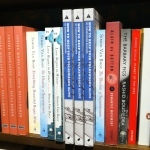 Finally, I was so amazed by the vitality of book culture – how many independent bookstores I wandered into in Paris; the level of inquiry during my readings at Librairie Obliques and Librairie Charybde; the enthusiasm that seemed so prevalent among the readers, booksellers and authors I met at Festival America. I’ll be forever thankful for this experience, and to everyone who helped make it possible. 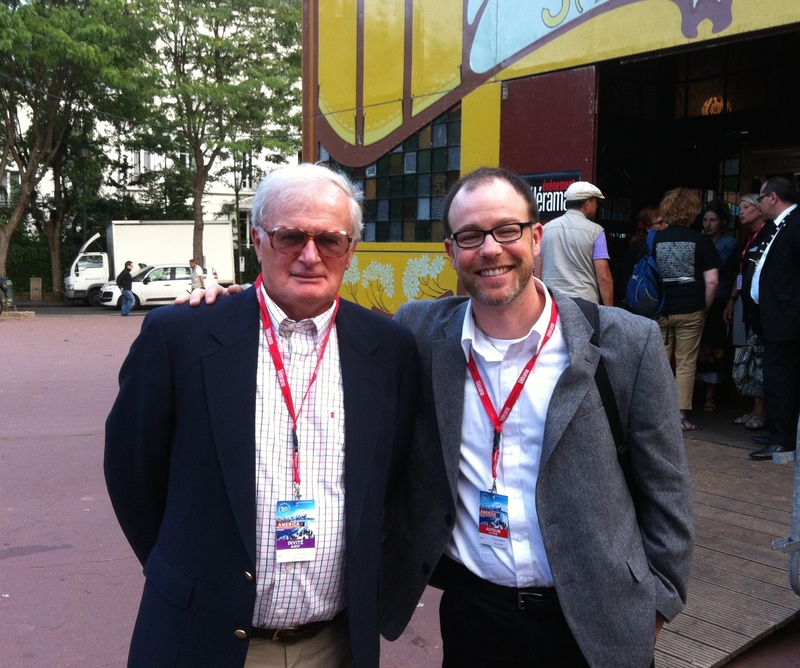 One of the best aspects of this trip has been the chance to experience it with my father, Gerard. 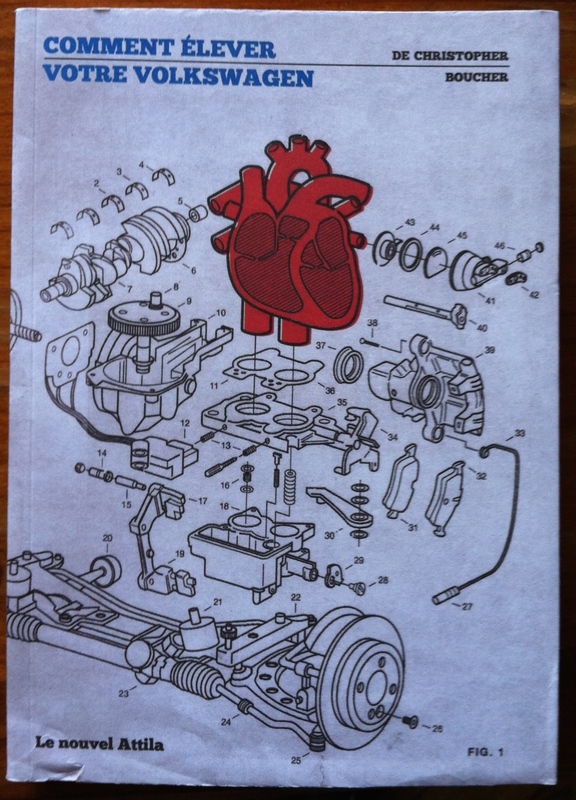 Not only are we very close, but the book is dedicated to him and inspired in part by our relationship. Were it not for the sacrifices he made for me and my brother, furthermore, I wouldn’t have a writing career at all. When my wife decided to forgo the trip to Paris so she could stay home with our children, I immediately asked my Dad if he’d join me instead. A fluent French speaker, he jumped at the invitation. 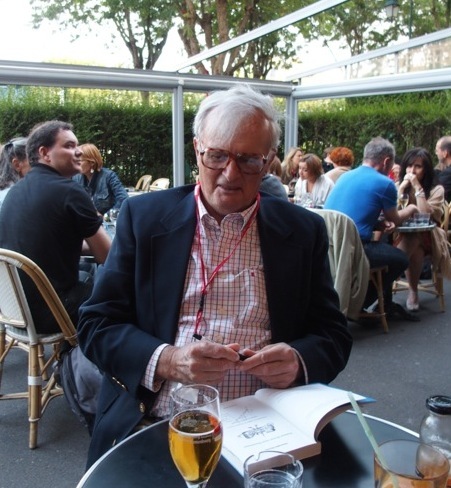 As near as I can tell, he enjoyed every minute of the trip: our lunch together Friday on the Rue de Paris, taking walks through the public market in Vincennes every morning, meeting for a beer at the Café de la Mairie on Sunday afternoon, and so many other great moments. He was even asked to sign a copy of the book! 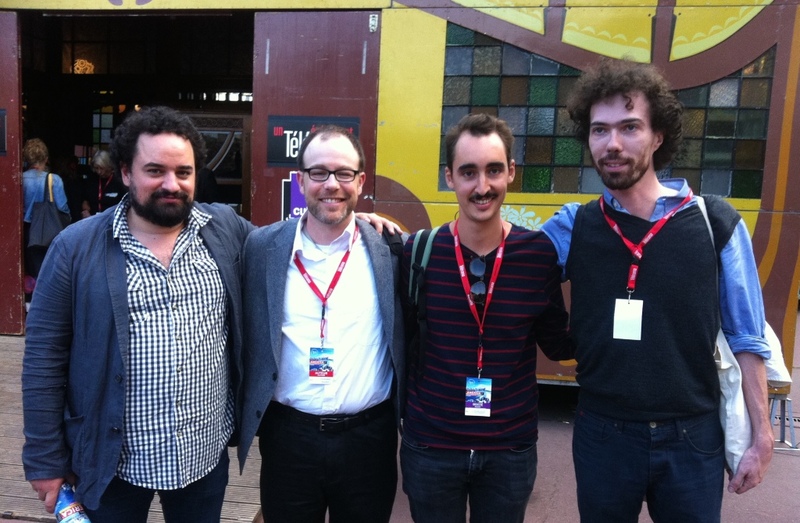 September 14, 2014 by chris · Comments Off on Quelle Famille! 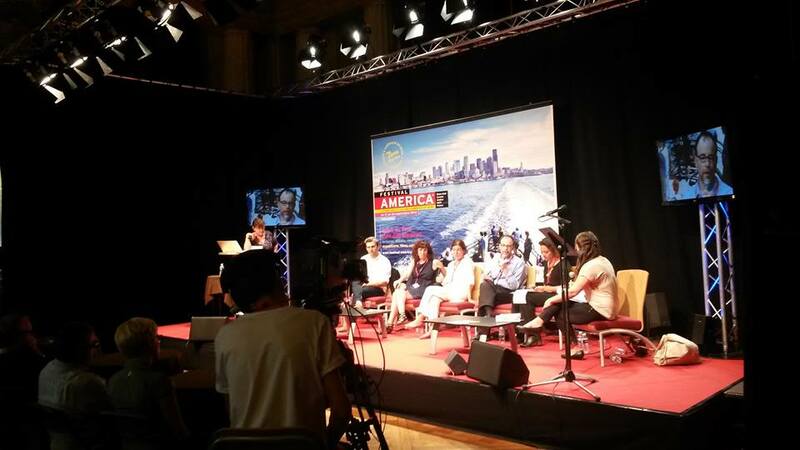 Yesterday I took part in a “Cafe des libraires” – each author’s most prominent event at Festival America – called “Quelle Famille.” I had the pleasure of sharing the stage at the Hotel de Ville in Vincennes with authors Jami Attenberg and Stuart Nadler. It’s been amazing to speak to so many different writers at the festival about the different angles and approaches that we take to common topics in our work. 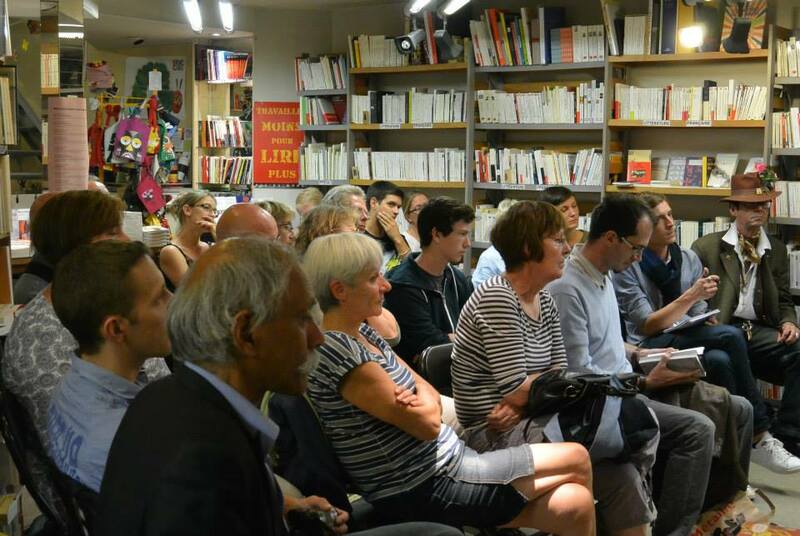 On Friday night I was given the opportunity to read at the wonderful Librairie Charybde, a bookstore not far from Gare de Lyon in Paris. 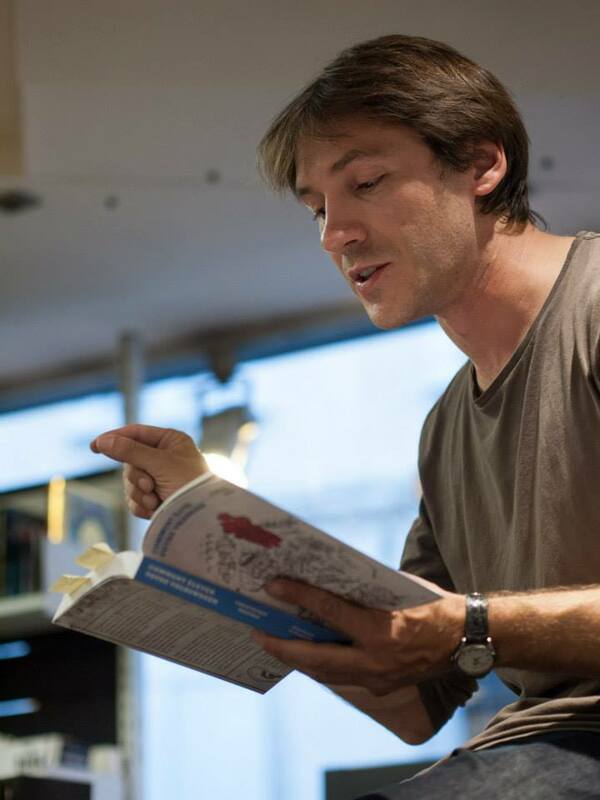 Owned by Hugues Robert, Charybde presents its readers with a carefully-chosen selection of French books – it’s intimate and inviting. 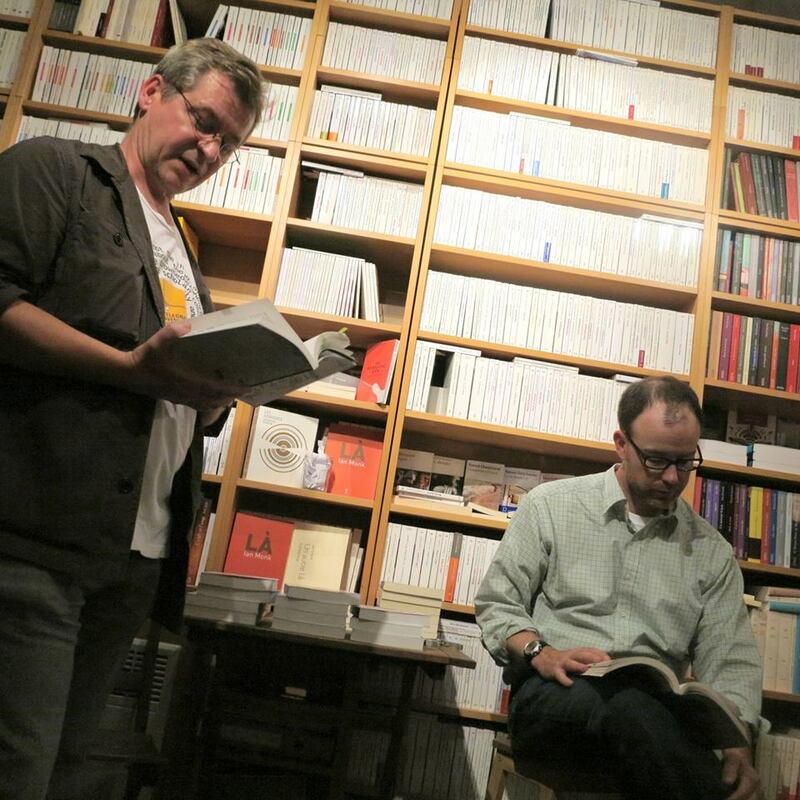 For this event, I read selections in English and Hugues read them in French. I was fortunate enough to have Théophile Sersiron there to help translate my answers to questions, and to take part in an impromptu bluegrass jam! 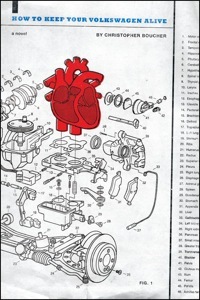 Christopher Boucher chez Obliques from Obliques on Vimeo. 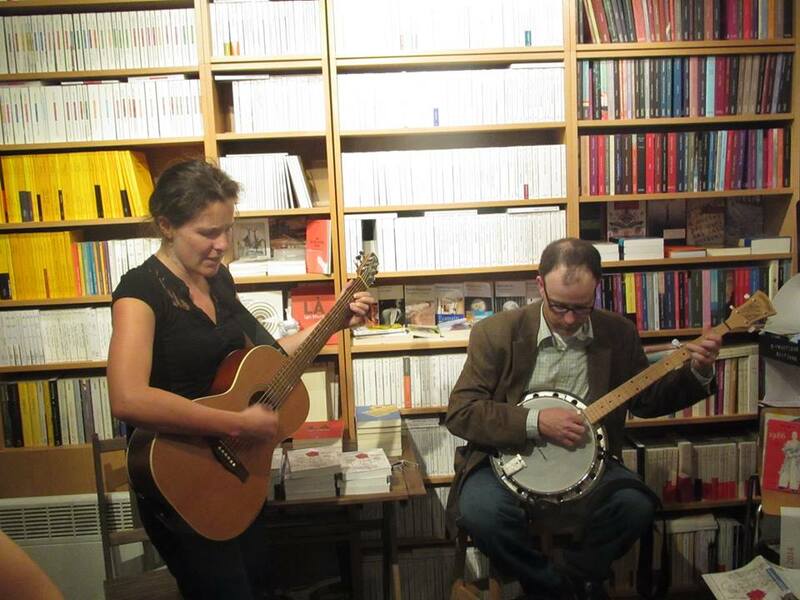 Last night’s event at Librairie Obliques in Auxerre was nothing short of a gift from beginning to end. I took the train from Gare de Bercy in Paris yesterday afternoon, and I was met at Auxerre St. Gervais by Grégoire Courtois, owner of the bookstore. 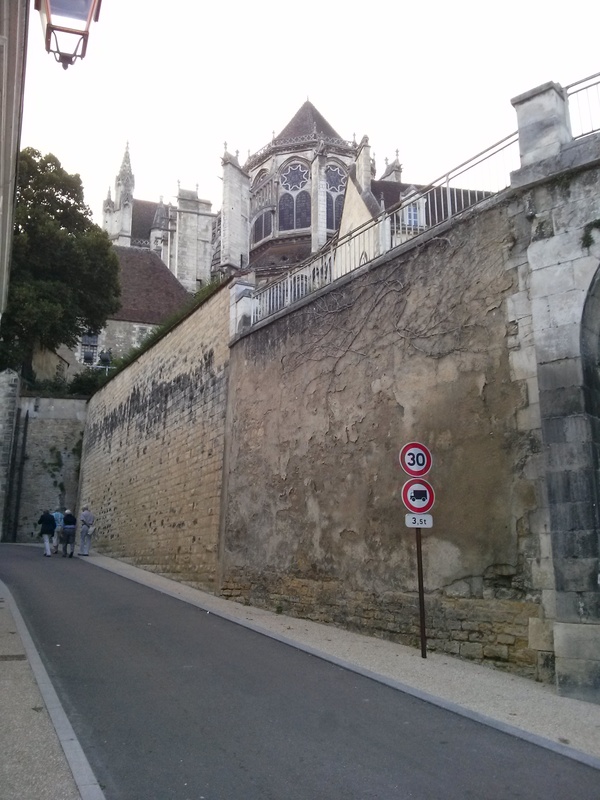 Before the reading, I had a chance to walk through town – down Quai de la Marine, past the L’Yonne River and some wonderful medieval architecture and up the hill to the bookstore. 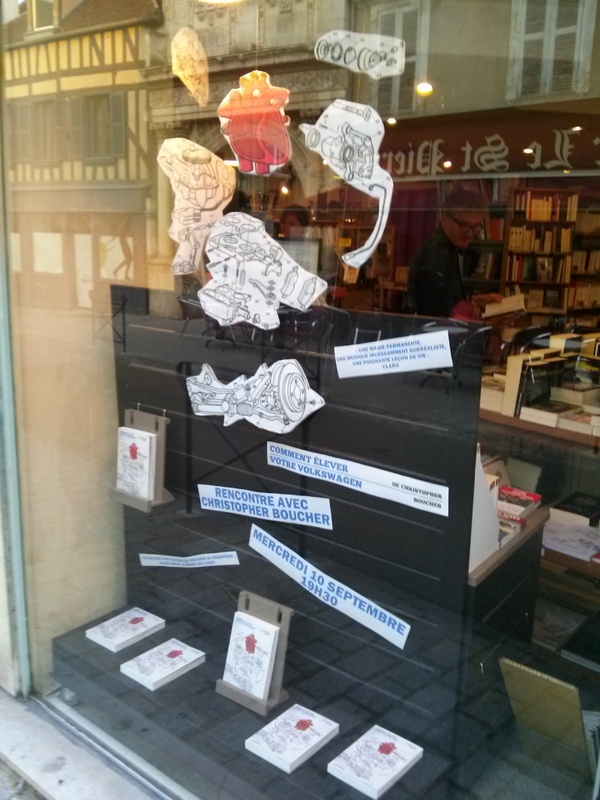 Librairie Obliques is a wonderful store, and one which clearly fosters a community of readers – every seat was full. 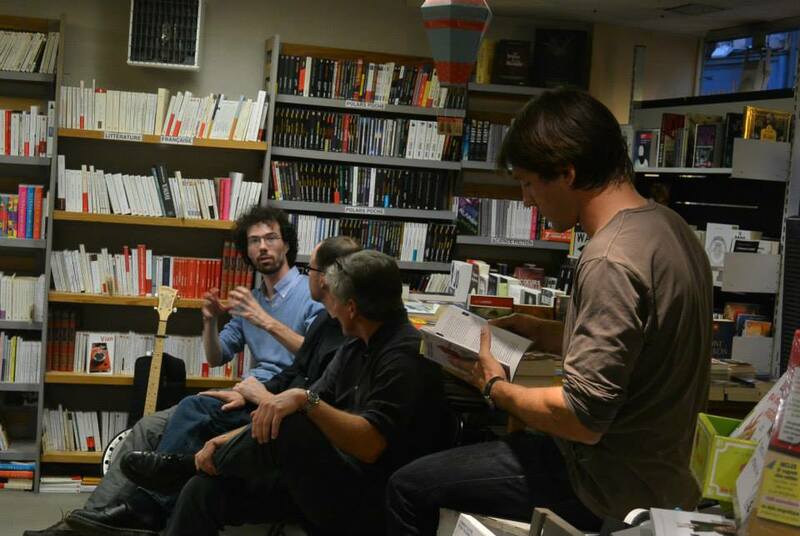 This was my first event in France, and the format was different than I was used to: Rather than a straight reading, it was a Q & A between myself, my translator Andy Walken, Grégoire and Benoît Virot. Afterwards, I was asked to play a short tune on banjo and to sign some books. 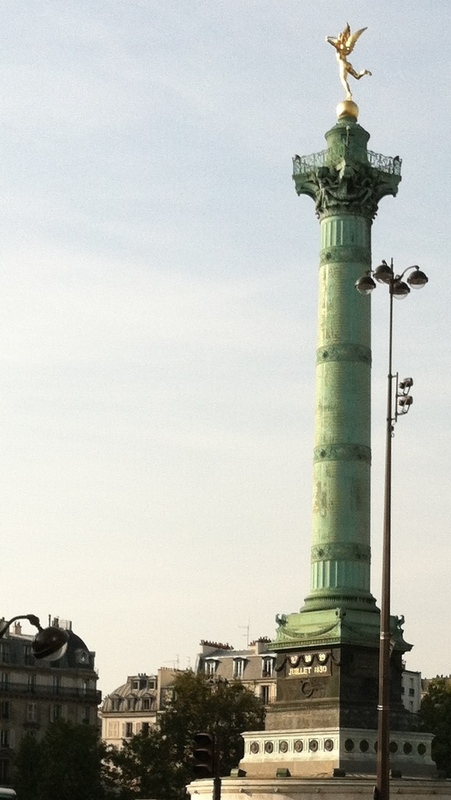 I’ll head back to Paris this afternoon, as Festival America begins tonight. Even though my time in Auxerre was short, I’m so thankful to have had a chance to see this beautiful town. 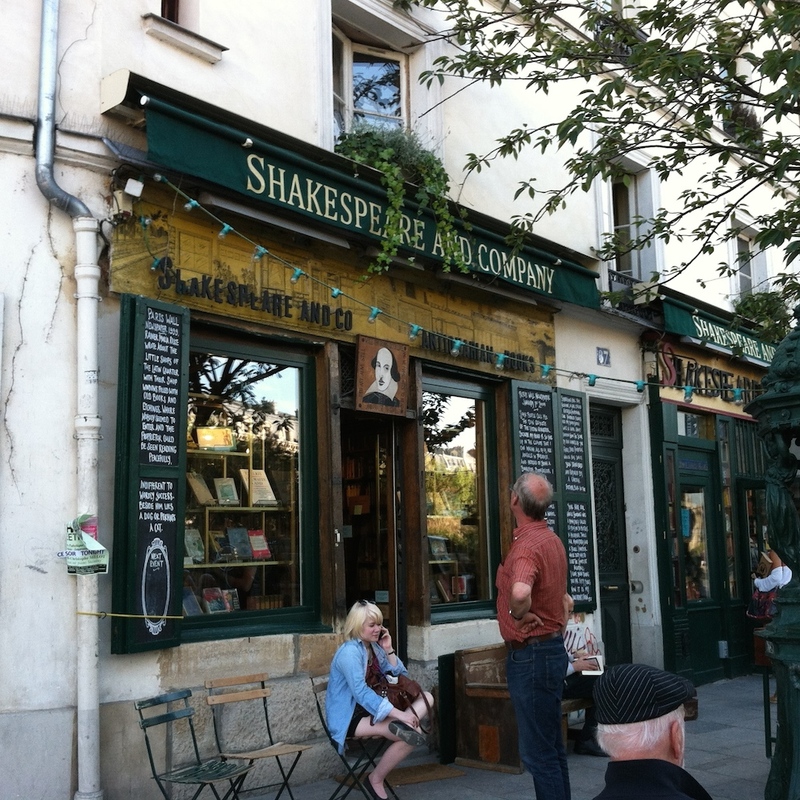 With some free time yesterday afternoon, I walked down Boulevard Henri IV, crossed over La Seine, and followed Quai de la Tournelle over to Shakespeare & Company. While this store isn’t the famous Modernist haunt owned by Sylvia Beach until 1940, George Whitman’s store at at 37 rue de la Bûcherie is a bustling literary hub that celebrates the original store and maintains an important legacy of its own. I was honored to stop in, see my book on the shelves, and be asked to sign some copies. 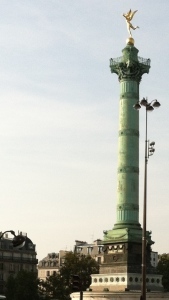 Then I sat and read in the Square René Viviani, walked across the street to the Notre Dame de Paris, and made my way back towards Place De La Bastille.